Original Pole Buildings specializes in pole buildings—residential buildings, commercial buildings and equestrian facilities. We pride ourselves in our work and stand behind what we build. Original Pole Buildings is the name you can trust. Since 1990, Original Pole Buildings has been providing the market high-quality post-frame buildings. Original Pole Buildings' skilled and experienced craftsmen can complete your building in less time and at a lower price than traditional stick framed construction. The idea of being just "pole barns" is a thing of the past. With improved technologies and engineering, many post frame buildings of today look no different than other traditional buildings. As a result of our continuing efforts to excellence, Original Pole Buildings is the nation's first accredited builder from the National Frame Builders Association (NFBA), and has won four national awards from the NFBA, one of which was for a commercial project. Please feel free to contact us to see how we can answer your post-frame questions and help you plan the right building for your needs and budget. Find out about our experience and quality. Learn about Perma-Columns®, the newest innovation in the post frame industry. 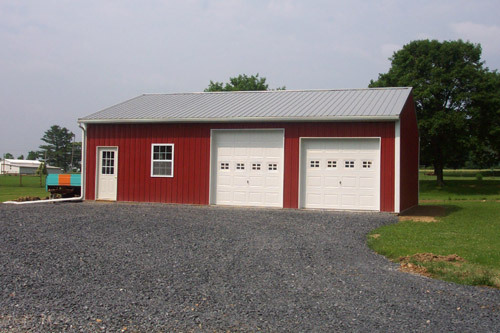 Look into our services: pole buildings, equestrian barns and more. Browse our awards from the NFBA, leaders in the post-frame building industry.